Here is a home right in the heart of Leitchfield with convenient access to schools, parks, the library, hospital and shopping. We are proudly offering this 3 bedroom, 1 bath, brick, one-story ranch home for sale and it will be perfect for you. Inside you will find beautiful hardwood floors throughout most of the home and there is carpet in the bedrooms and also in 1 of the 2 living rooms. Pride in ownership shows as this home has been very well taken care of, inside and out. Speaking of outside, here you will enjoy your covered front porch perfect for swinging or sipping coffee. In the large flat back yard, you will find the home sitting on 2 lots and the home includes a storage building to house lawnmowers and extras! Don't delay - you could be in here before Christmas! Directions:From the William Thomason Byway, travel up Wallace Avenue. Take a left on Sequoia Drive and the house will be on the right. SchoolsClick map icons below to view information for schools near 327 Sequoia Dr Leitchfield, KY 42754. Real estate listing at 327 Sequoia Dr Leitchfield, KY 42754. 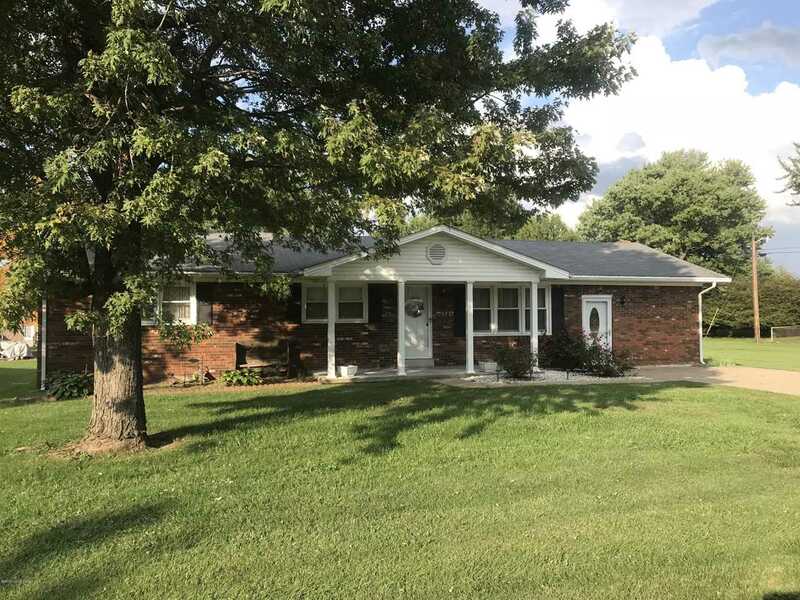 Description: The real estate listing at 327 Sequoia Dr Leitchfield, KY 42754 with the MLS# 1517491 is currently listed for $125,000 and has been on the Leitchfield market for 186 days. You are viewing the GLAR MLS property details of the real estate listing at 327 Sequoia Dr Leitchfield, KY 42754, which is located in the Indian Hills neighborhood, includes 3 bedrooms and 1 bathrooms, and has approximately 1359 sq.ft. of living area.